Too many times in different part of the country, an animal brought into a shelter is euthanized when the pet was healthy for a myriad of reasons, ranging from lack of space to an error by a brain dead individual that worked there. They thought they were doing the “right thing” but in reality, they brought shame and dishonor to their shelter. Especially when the animal was a stray and was someones pet. An incident makes the news and it goes downhill from there. In the city of Philadelphia, efforts are made to educate workers that putting an animal down is not to be done as a routine measure to make space. 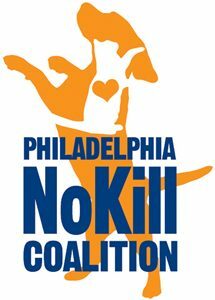 Today, the No Kill Animal Coalition was formed to bring attention to what is being done to adopt out pets that need a home. They made a media conference at city hall. According to Ame Dorminy, from ACCT Philly, they are responsible for all animals brought in as strays or abandoned by their owners. “We have an 84% rate of live release for animals in 2017 Dorminy said. Wildlife such as raccoons, must be euthanized, per state law. The announcement means that workers will partner will other shelters and rescue groups to make sure the animal gets a new home. Shelters in Bensalem, Providence Montgomery County are also members of the coalition. When one has no room for large dogs for example , the large dogs can be taken in by another shelter or rescue group. Pets that come in that are injured can be treated and put up for adoption. There is a difference between being aggressive by nature and fear. Dorminy said that animals that are scared can be trained and given to rescue groups. Animals that are aggressive and have always been aggressive may have to be put down. “They could never make good pets”. she said.